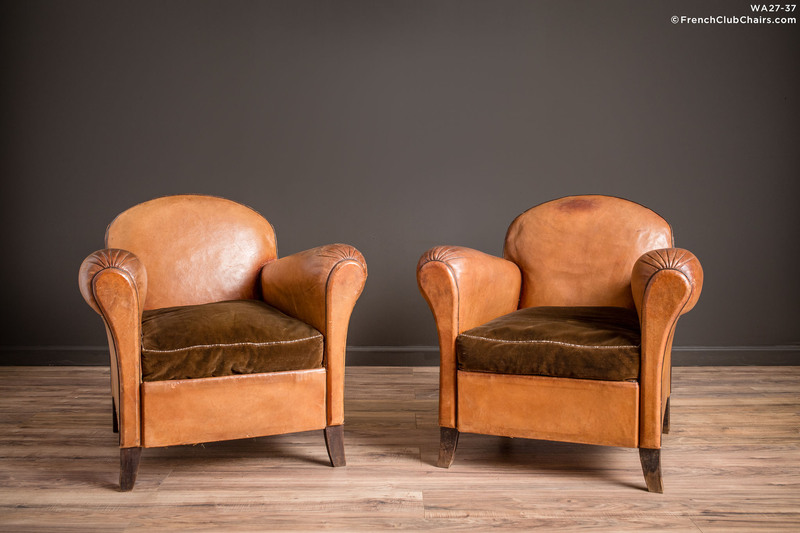 A charming smaller pair of French leather club chairs featuring all original leather. Unusual flared, teardrop arms and rounded cinema back. Velvet cushions provide a soft, comfortable seat. measurements: depth-30", width-30", height-30", seat depth-21", seat width-17", seat height-15"